Home » Ajira , Ajira 2018 , Ajira Zetu , Arusha Lutheran Medical Centre , February 2018 , Jobs , Kazi 2018 , KaziBongo , Nafasi za Kazi Arusha , Nafasi za Kazi Tanzania , Private Sector , Tayoa , Vijana Jobs , Zoom Tanzania » Internal Auditor at Arusha Lutheran Medical Centre, Apply by 9th February, 2018. 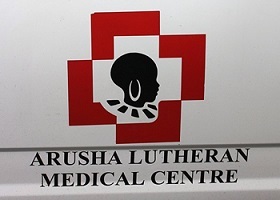 Internal Auditor at Arusha Lutheran Medical Centre, Apply by 9th February, 2018. Applicants can submit their job applications via; Email Address: almc@habari.co.tz Or, P.O.Box 1 7047,Arusha Or, by hand directly to ALMC Offices, at Arusha. Thanks for reading Internal Auditor at Arusha Lutheran Medical Centre, Apply by 9th February, 2018.